I recently found a *fabulous* bread recipe that is basically a no-fail recipe. I was so impressed with this recipe and the results. 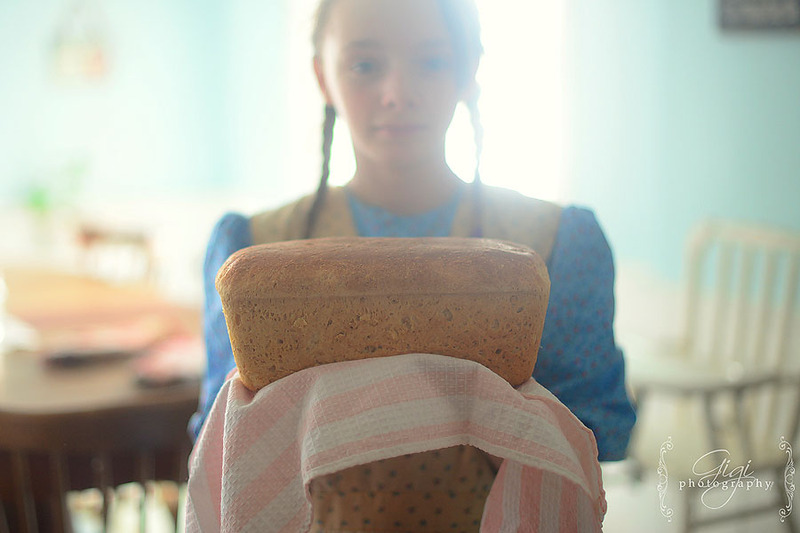 Recently, the girls & I read a book where a young girl baked bread for her family and eventually received some customers to buy her bread from a local bank! Lacey was inspired! 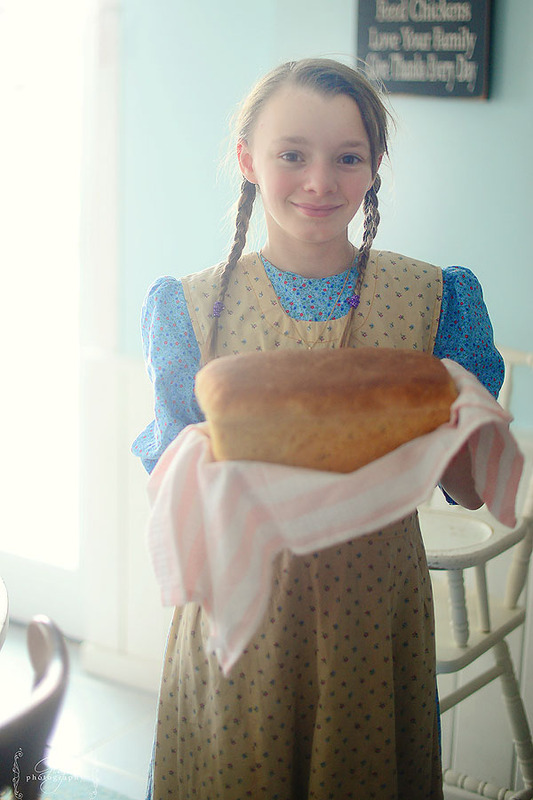 I guessed that this particular bread recipe would be a great one for the girls – Lacey, in particular – to learn. She tried out our new recipe this weekend and was very successful. It is always encouraging for a project to turn out and not fail, especially since we are cooking on the cookstove. 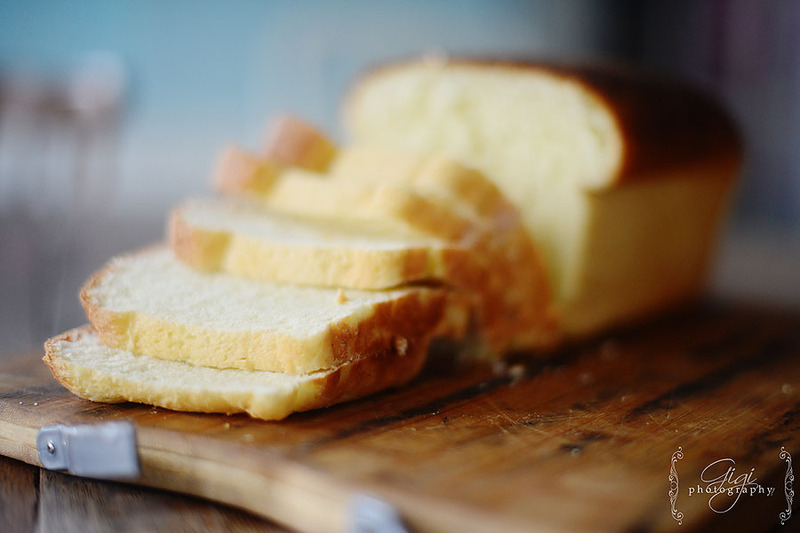 If you are looking for a fabulous bread recipe to add to your kitchen, this is it. I have tried many recipes but this is hands down my favorite. It slices fabulously for sandwiches, as well. You can lessen the sugar or add more if you want to adjust the sweetness of the bread. Beat on high for 2 minutes or hand knead about 100 x. In the mixer, on low speed add about 1/4 cup bread flour until dough forms a mass. If you are doing this by hand, I literally just place everything in one bowl, mix and knead about 100 times. A little note, as we baked this in the wood cookstove. We did not bring the oven temperature up to 375 but baked it at 300. It still worked just fine although we did allow it to remain in the oven for a bit longer than the allotted time. We simply watched the bread carefully to ensure it was not burning. 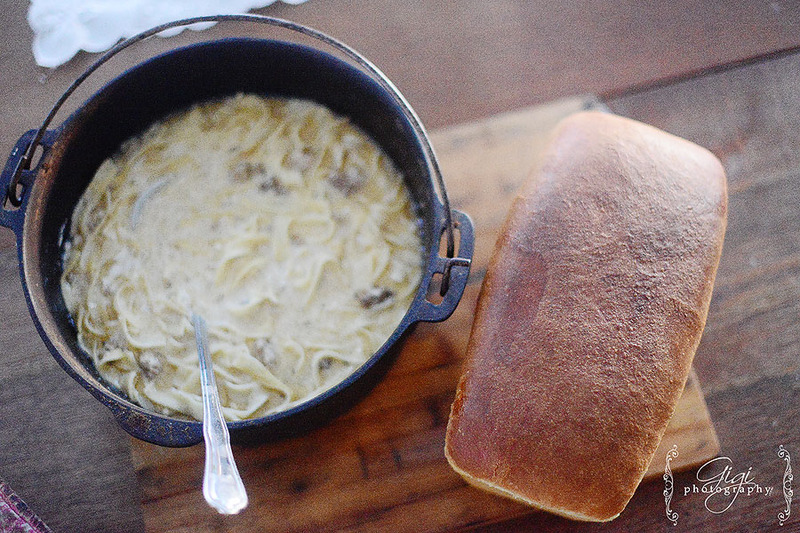 What could be better than a hot simmering pot of homemade soup and some delicious homemade bread? 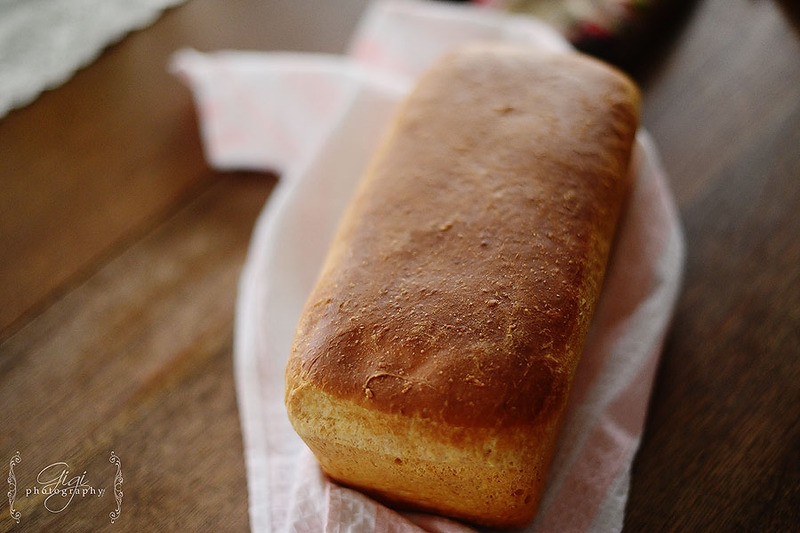 admin – I am going to attempt to do this recipe to make five or six loaves at a time and see if it will still work. I will not be able to use my mixer then (too small!). 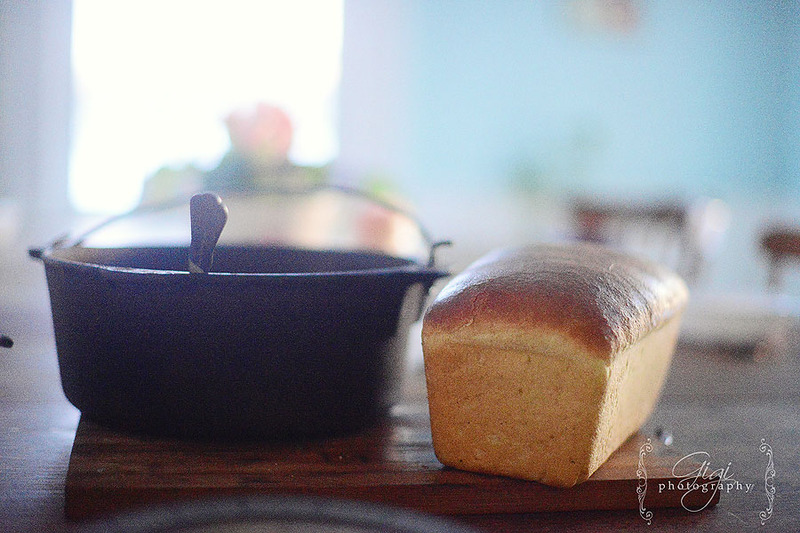 However, I actually don’t mind making bread every other day as it is just so yummy fresh – and bonus, it makes the home smell so lovely and cozy! p.s the pot? Well, I like to stretch our meals very far in between … so this is the leftover beef stroganoff simply turned into a soup! It was tasty! Our Home of Many Blessings – Oh and I forgot…what is the yummy goodness in the pot? Our Home of Many Blessings – This is wonderful! Thanks for sharing!! 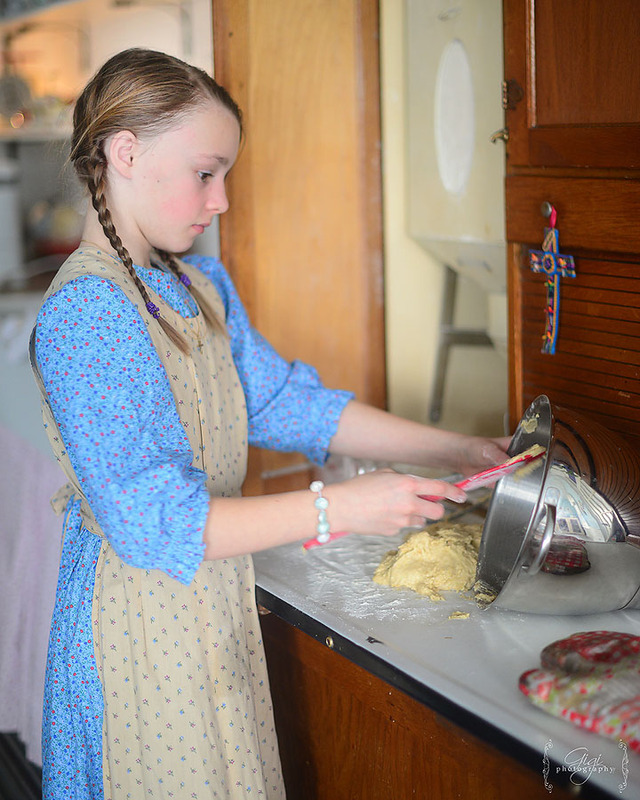 I can’t wait to try it.We are a family of 9 and I for sure have to make more than on or two at a time or I would be making bread all day everyday!…..and Amy…does this mean I can have your recipe to???? Gillian – Amy, that sounds like a great recipe! I usually do a recipe that makes six loaves, as well. I mix it by hand as it cannot fit it all in my mixer! I don’t always bake the six loaves at a time but store the dough in the fridge over the week. I do have trouble getting the last bit of dough to rise properly though if it has been in the fridge for a few days. amy – i have a great one that does 6 loaves at once. you make a yeast mixture the night before and the yeast does its multiplying overnight and the next day you add the rest of the flour, kneed, etc. i usually divide it on half and do 3 loaves as cinnamon raisin and the other 3 as whole wheat. if you’d like the recipe i can email it.